Situated at the heart of Hanoi's new Central Business District, within a convenient travel to Noi Bai International Airport and only moments away from the National Convention Center, InterContinental Hanoi Landmark72 is the tallest luxury hotel in Hanoi at 346 meters above ground level, atop the iconic Landmark72 Tower. 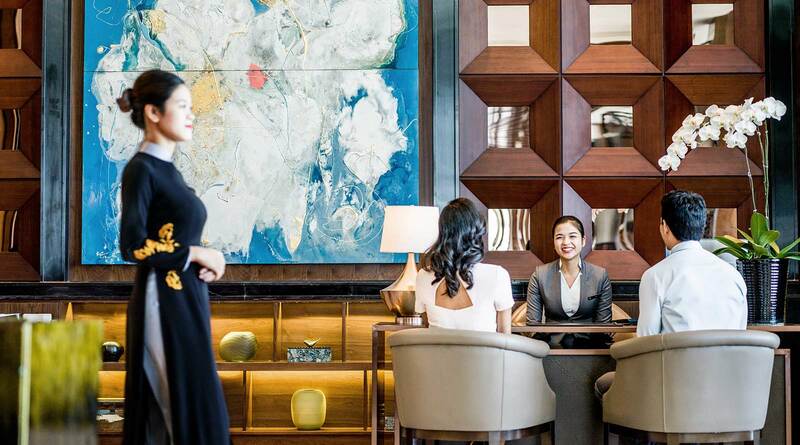 Beyond just where to stay in Hanoi, the hotel not only redefines the city's skyline, but also delivering a true sense of the glamour and exhilaration that is the InterContinental life. InterContinental Hanoi Landmark72 offers the best in Hanoi luxury accommodation with 359 bespoke guest rooms & elegant suites, appointed with premium furnishings and 5-star amenities; 4 creative theatrical dining venues boasting floor-to-ceiling panoramic views of Hanoi and dynamic cuisines, as well as the largest, most modernly equipped event venue in Hanoi, and the largest Club InterContinental Lounge in South East Asia. A perfect combination of style and glamour in accommodation, gastronomy and business services, accentuated with sweeping views of the city from above as a dramatic background, this Hanoi hotel offers you access to luxurious facilities that make the city's latest destination to work, dine, relax and explore. Be sure to take advantage of our Special Offers and experience the #InterContinentalLife with InterContinental Hanoi Landmark72 at the top of Hanoi now. 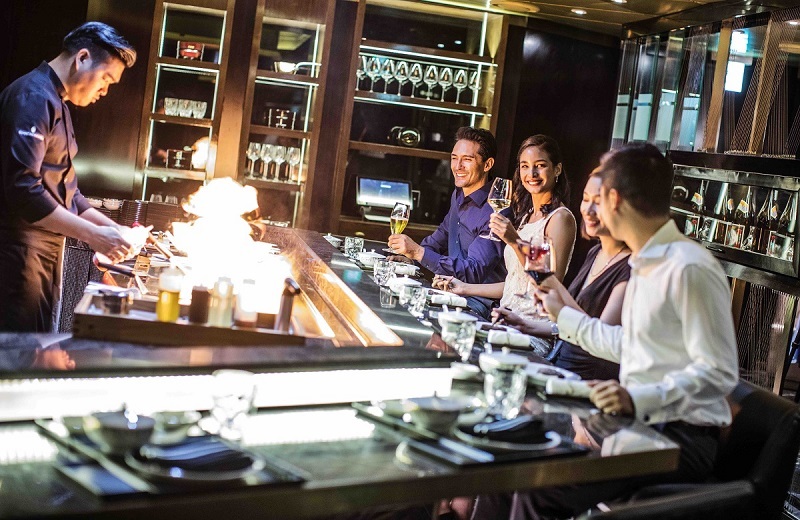 Discover our dynamic venues with the best luxury dining in Hanoi: The Hive Lounge, 3 Spoons, Stellar Steakhouse and Q Bar. Upon arriving at this Hanoi hotel, high-speed dedicated elevators provide a less than 60-second ride straight to the 62nd floor, transporting visitors to a different world of tranquility and opulence. Enjoy Hanoi's most luxurious accommodation in 359 rooms & suites; and treat your taste buds at the city's most coveted restaurants and lounges; from the well-loved Afternoon Tea at The Hive Lounge, dynamic selection from the open kitchens of 3 Spoons Restaurant, the most exquisite dry-aged beef paired with a brimming wine cellar at Stellar Steakhouse, or cap your day with bespoke, locally inspired cocktails at Q Bar. 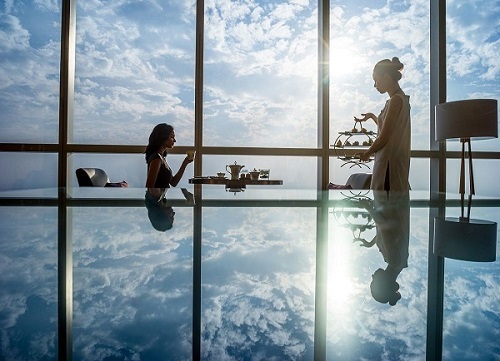 From above the clouds, the most luxury dining in Hanoi awaits you. Discover all InterContinental Hanoi's Landmark72's Hotel Facilities here. Situated 300m above ground level with breathtaking panoramic views of the Hanoi skyline, InterContinental Hanoi Landmark72 offers an unforgettable experience to guests who can nestle in our luxury accommodation in Hanoi and enjoy impeccable dining, as well as bespoke services at our 4 restaurants and bars. Let us be your perfect "home away from home" in Hanoi. Book direct on our website for the best rates (Please choose the dates and then select the "Weekend Special" package) or call us at +84 24 3698 8888 or reach out to our Reservations team at hanoilandmark72@ihg.com. 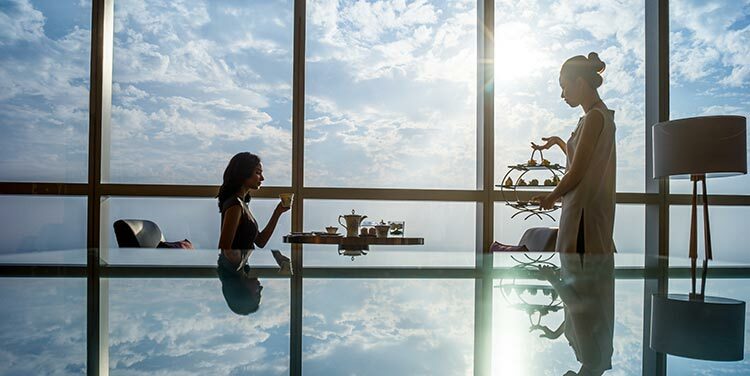 An elevated level of luxury and hospitality awaits, at the chicly exclusive Club InterContinental Lounge on the 71st floor of InterContinental Hanoi Landmark72. Purchase the upgrade to use all services at the Club InterContinental Lounge, with an attractive rate of only $40++ per guest per room per night for guests having booked a Premier room, and $50++ per guest per room per night for guests having booked a Deluxe room (The upgrade does not include an upgrade of the room category, but only the services at the lounge). 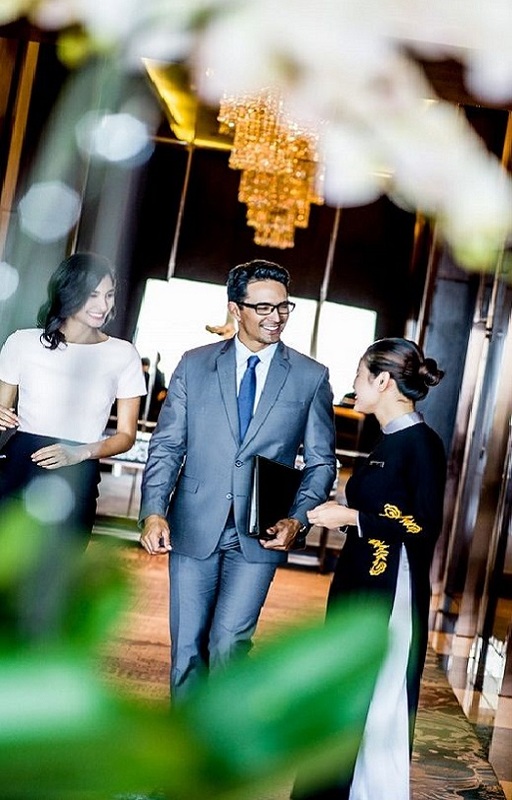 The access to the Club InterContinental Lounge at InterContinental Hanoi Landmark72 is complimentary for guests having booked the Club InterContinental room or Suites. 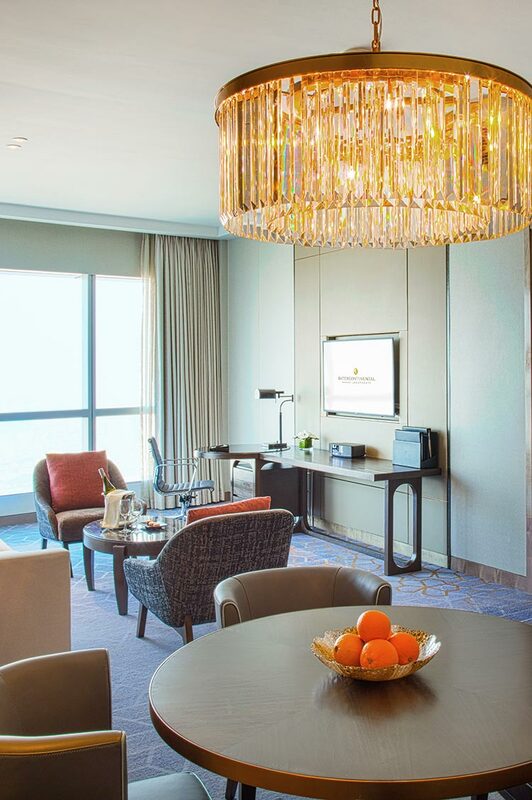 With the purchase, guests are welcome to invite 1 companion per upgrade to enjoy the lounge's breakfast, afternoon tea and evening cocktail reception. Please reach out to our Club InterContinental team at icclub@iclandmark.com for assistance. We look forward to welcoming you to InterContinental Hanoi Landmark72 and the Club InterContinental Lounge soon. 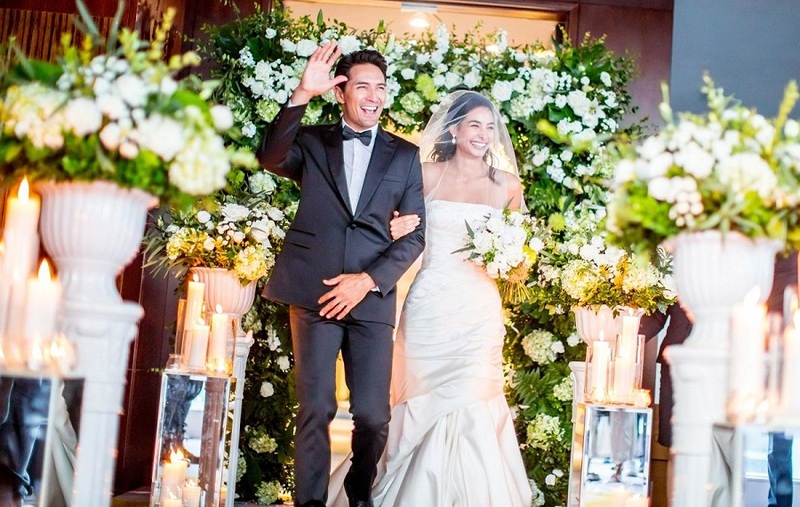 We at InterContinental Hanoi Landmark72 vow to bring you an unforgettable celebration for your wedding, the most special day of your life. Book with us and enjoy 30% discount on the wedding ceremony at our Central Garden, and 20% discount all drinks at the after-party at Q Bar. TRAVELLING TO HANOI FOR A WEEKEND? 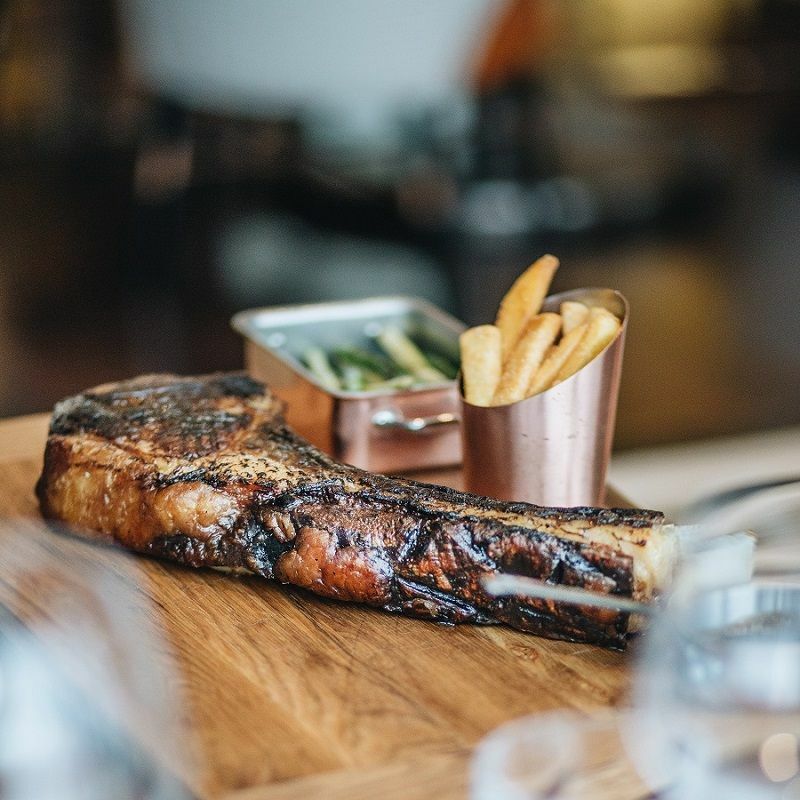 WANT TO ENJOY DRY-AGE BEEF AT STELLAR STEAKHOUSE WITH 25% DISCOUNT?